A strong attack is denoted by the color green, and does more damage than normal. The green lines in the image above indicate which elements are strong against other elements. A weak attack is denoted by the color red, and does less damage than normal. 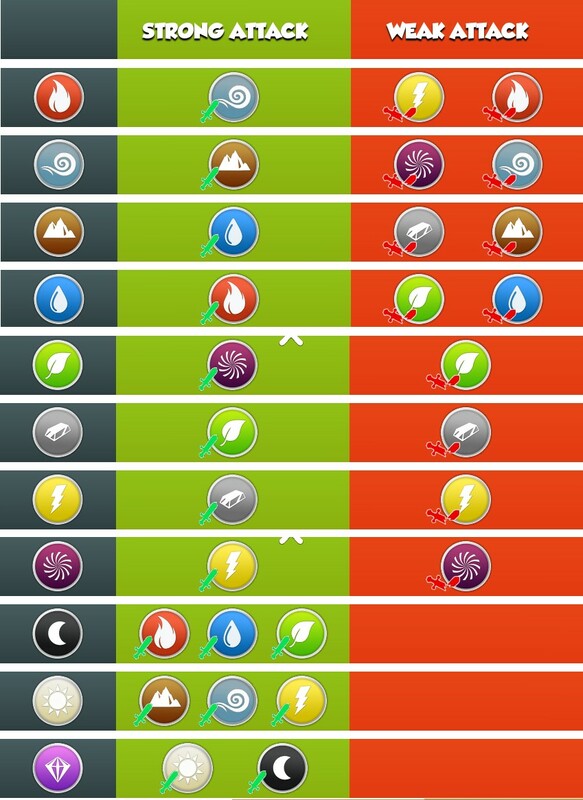 All elements except for Legendary are weak against themselves, but some are weak against others as well. The pink lines in the image above indicate which elements would be weak when attacking the other elements. The chart in the game doesn’t give the whole picture. For instance, Energy and Metal are weak when attacking Shadow, with Plant and Void weak when attacking Light. What Impact Do the New Elements Bring? Now that the element interactions have been finalized with the release of v1.5, it looks like Void and Metal have come off better than they were (which was abysmal) in the pre-release info. Void is still not great as a primary element because Plant is a strong attack, and same with Metal as Energy is also a strong attack. 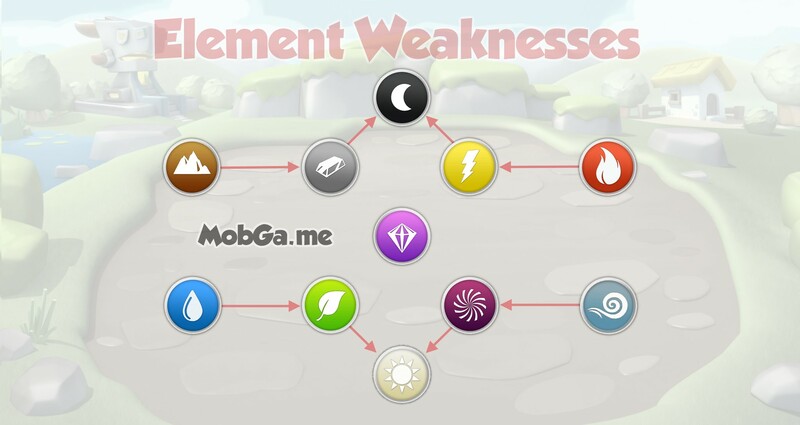 Light and Shadow are strong elements, as they have 3 elements they hit for strong attacks, are hit for weak damage by 2 elements each, and aren’t weak against any elements. Legendary is the winner here, as it’s strong against the new elements (which likely will be very popular) and nothing is strong against it. With Legendary dragons now having 3 elements, it’s probably best to have a 3x Legendary fight team if you can put one together.